Best accomodation in Greece. 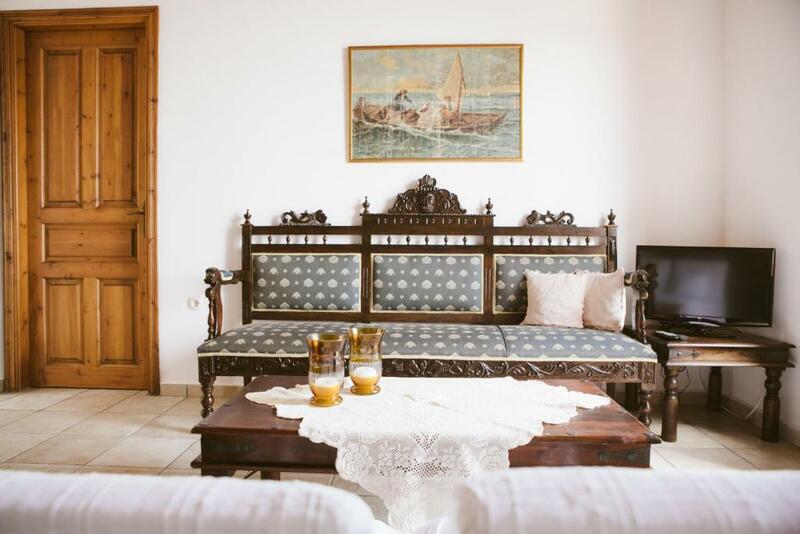 Beautifully decorated and large apartment 30 second walk from the pier. You could almost fish from the balcony :) Fantastic kitchen completely decked out. Washing machine. Great bathroom. Strong wifi. Two great rooms with powerful aircon. Very stylish. Location on the harbour was excellent. Very convenient for the family events we were attending. Good set of supplies in the fridge and plenty of space for clothes etc. Very nice balcony with great views. Bathroom good and modern. 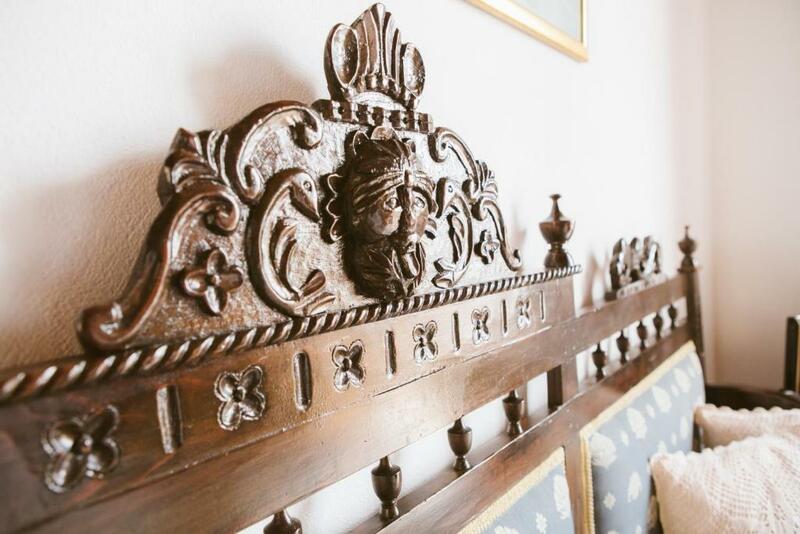 Loved the traditional Halki wooden ceilings. The house was a perfect size with an amazing sea view. 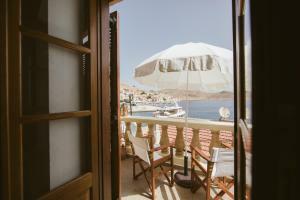 The location was great - in the centre of the village 1 minute walk to tavernas and the water. The air con was amazing, and the kitchen was really well stocked with cooking utensils and cereal, milk, fruit and snacks. The apartment is very central for the harbour and the many restaurants . It was spotlessly clean and the views from the balcony were amazing . The hosts had left very generous supplies including wine , fruit , bread , cheese , milk , juice and cereals . 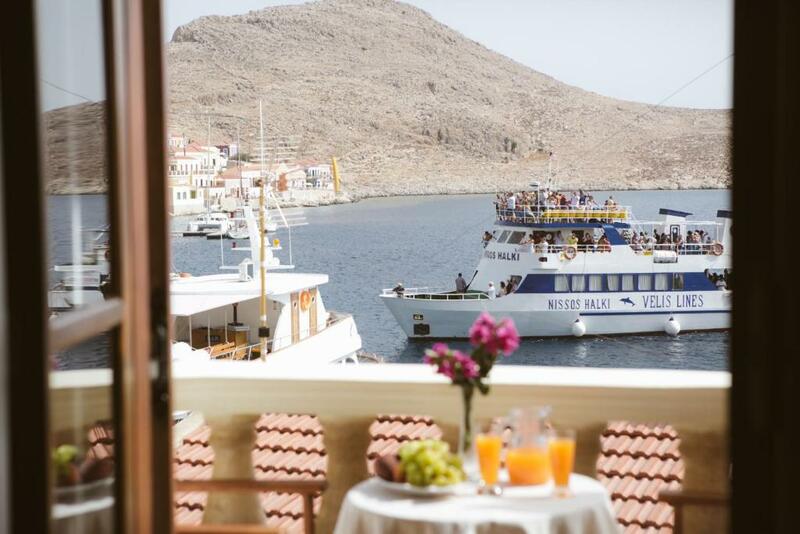 Our only suggestion would be that it would have been very helpful to have a folder with menus from local restaurants , a map , places of interest and a bit of history of Halki etc. The nights were rather hot but the air conditioning worked well . We enjoyed several restaurants with our favourite being Almyra . 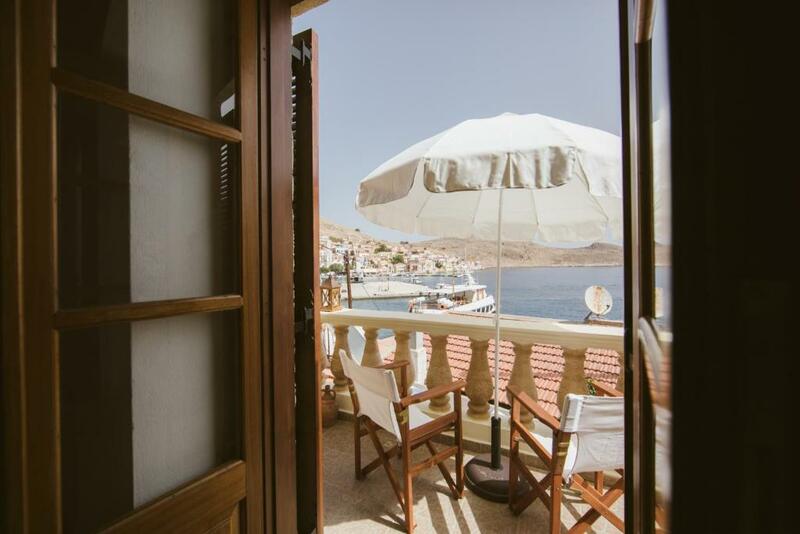 We could not think of a better place to stay in beautiful Halki and we highly recommend this apartment . The place was excellent, great friendly people. Great views of the port from balcony great views of sun rises. The people were fantastic from the welcoming staff to the owner who made a point of meeting us to thank us for staying there. Also the property provided us with a fridge full of fruit, bread, milk, fruit juice, jams, butter etc. Also we were provided with a new and still packaged toothpaste, and laundry powder for the washing machine available. It was so cleand and very good area where the villa is! Amazing villa full of beautiful antiques ,good location ,very good view . Had absolutely everything you could need including toothpaste , lovely stocked food supply too. The view from the balcony. Interior decoration and furnishing. Excellent kitchen and very generous welcome pack. Lock in a great price for Villa Antonis – rated 9.7 by recent guests! 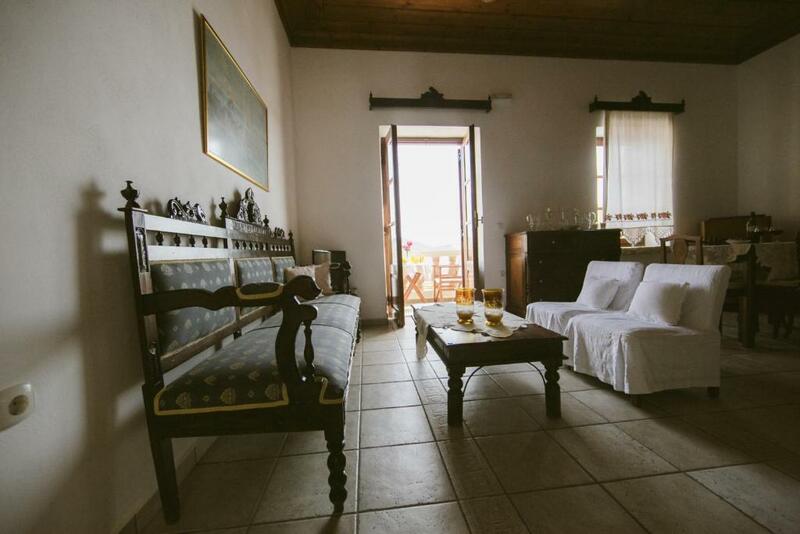 The villa comes with 2 bedrooms, a kitchen with an oven and a toaster, and a bathroom with a bath and free toiletries. A flat-screen TV and Blu-ray player are offered. 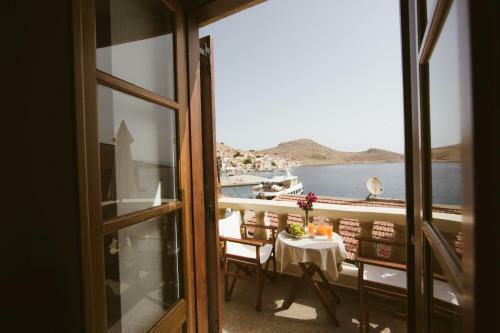 When would you like to stay at Villa Antonis? 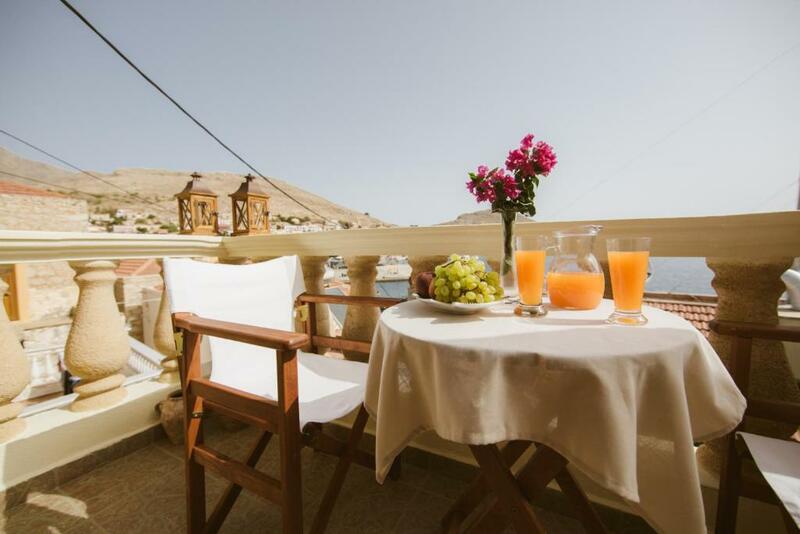 This villa has a balcony, view and electric kettle. The traditional stone-built Villa Antonis is situated in the picturesque port of Chalkis.Diatheti terrace overlooking the Aegean pelagos.Se throughout provide Wi-Fi.Diathetei 2 separate air-conditioned bedrooms, a living room with flat screen TV and full kitchen with dining exoplismeni.Prosferei laundry and ironing peroches. The Villa Antonis is located in the harbor streets Chalkis.Se short walk are several restaurants and coffee bars. 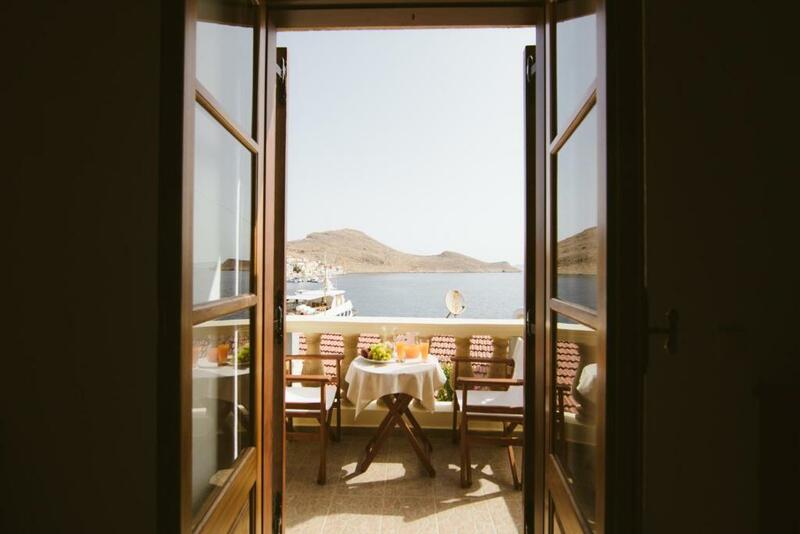 House Rules Villa Antonis takes special requests – add in the next step! Please inform Villa Antonis of your expected arrival time in advance. You can use the Special Requests box when booking, or contact the property directly using the contact details in your confirmation. Nothing - all was perfect. There was a heat wave and it was extremely hot ,but the property did have air conditioning ,and fans . At €90 euros a night it was a bit expensive for 1 person. But it was a superb pad for sure !